With Grange Month right around the corner in April, now is the time Granges should be planning for their spring events. Think outside of the box. Be Creative – Be Brave - Be Bold. The following is a list of events, activities and project ideas for all times of the year to put your Grange on the Map. Writing letters to soldiers overseas By publicizing your upcoming Grange events, and promoting the projects your Grange is working on, your Grange will attract attention and interest - and it is those people who are interested that could turn out to be your new members. Remember to plan your Grange functions far enough in advance to give adequate time for marketing and publicity. Need help? Let us know - we can lend you a hand. 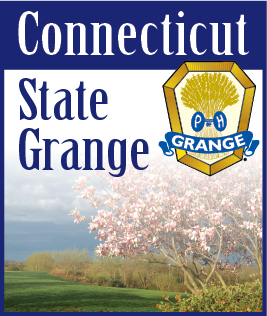 Email Terri at information@ctstategrange.org or Bob at publicrelations@ctstategrange.org today.